Own Your Money Before Someone Else Does — Fee-Only Financial Advisors | Lighthouse Financial Services, Inc.
How much of YOUR money do you give away to someone else? Small expenses, like grabbing a coffee on the go, add up in the long run. Instead of accepting your paycheck as a reward, think of it as an opportunity for YOUR money to work hard for you. The purpose of this blog is to shift your perspective about money and change the way you use it so you can own more of it instead of giving less of it away to other people. George S. Clason wrote a great book in 1926 called The Richest Man in Babylon and provided some of the most foundational truths about wealth and how to become wealthy. Clason compares viewing money in the same way as historical families viewed having children. In the early part of the last century, children were viewed as the sustaining power of the family’s estate. They weren’t paid for their work but rewarded with the inheritance of the property and any wealth that was built through the family’s endeavors. That is no longer the case today. Where children were the parent’s safety net for retirement and end of life care, it’s now up to our hard-earned money to provide these luxuries. In his book, Clason gives fives laws of gold or better yet, five golden rules about money that provide an easy and clear understanding of how to grow personal wealth. 1. Save one-tenth of your earnings to create an estate for your future and that of your family. Clason is describing a concept of having a diligent savings plan. One-tenth being the bare minimum, saving more than this provides a much bigger safety net for your future. Moreover, the earlier you start, the less you’ll have to save each month. If saving 10% of your income is difficult, find what expenses are unnecessary and costly. Live below your means and PAY YOURSELF FIRST. 2. Wise owners of money expect their gold to labor for them just as flocks in the field do for shepherds. Building off of step one, it’s now time to invest your saving wisely. Don’t just save your money and let it sit there. It will lose value due to inflation. Let your money do the hard work and create more wealth for you in the long-run. Be cautious and constantly research where to save/invest your hard-earned cash. 3. Invest wisely and cautiously under the advice of people who are wise in handling their own money. Research, and seek qualified advice. Choose your mentors and financial advisors carefully. Can you trust them? They should lead by example and continuously practice and implement what they preach. Has he or she already achieved what you hope to achieve? 4. Gold slips away from people who invest in businesses or purposes in which they are unfamiliar. Simply put, do your research and be prepared. Always read and educate yourself. Don’t be gullible and invest in what all of Wall Street says is the next big stock or move all your savings into bonds because someone told you so. You are never old enough or smart enough to stop further educating yourself. 5. Gold flees from people who force it to do impossible earnings and carries romantic desires about their investments. Don’t be greedy! There’s a balance in having your money work for you. If an offer sound too good to be true, maybe it is, and maybe you need to do more research. Perhaps Warren Buffet said it best. Again, what you should take away from this is your perception of money and how to make it work for you. Live below your means and pay yourself first. Educate yourself and invest in things you understand. Be cautious and seek out those who a wise and have experience with handling their own money, don’t fall into romantic desires of rapidly growing your wealth. Diligently apply these golden rules on a regular basis, and you will grow your wealth while having financial peace. 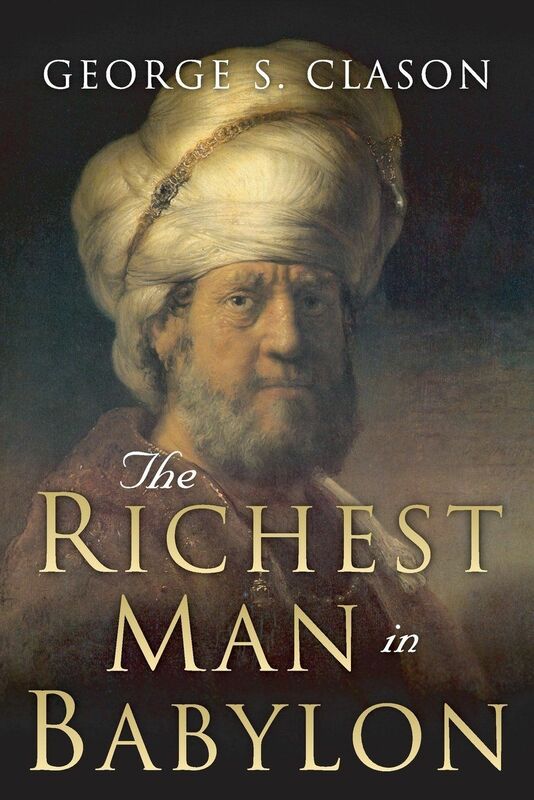 Order the Richest Man in Babylon by George S. Clason. i. The Richest Man in Babylon, George S. Clason. 1955, Signet Publishing, NY, New York. Newer PostSales Tip - "I Don't Need Your Product or Service"